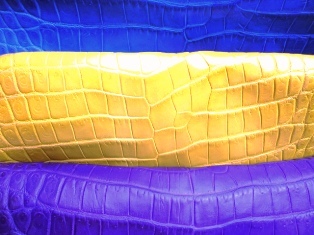 the yellow is just like banana,,super bright...the blue is also really happy blue..
also... pink...same color as pics..
and here is black color.. 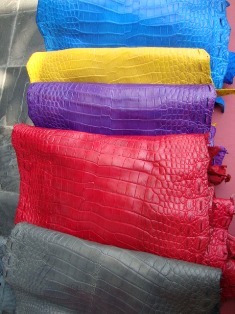 If I wanna cut pants from porosus crocodile leather, what should I order? 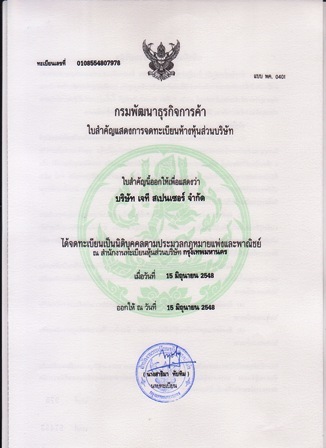 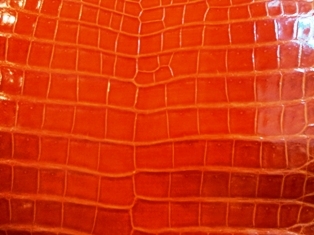 (which shop can do?) 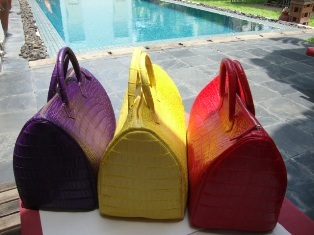 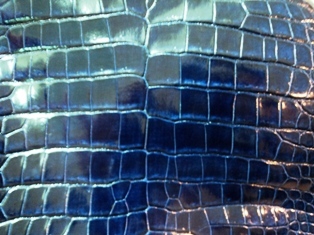 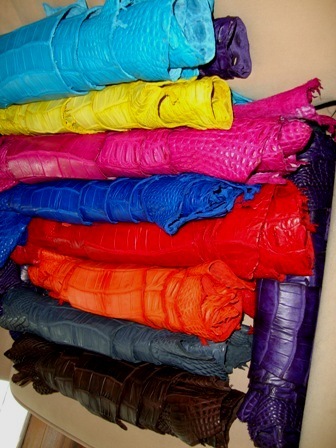 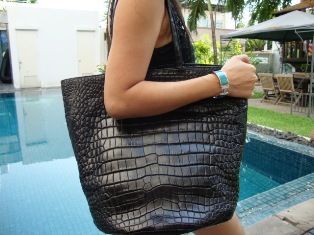 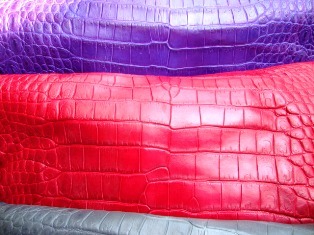 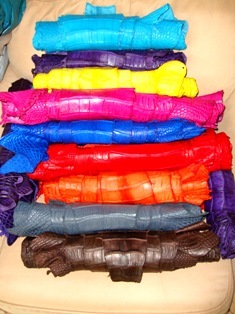 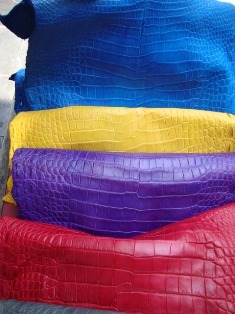 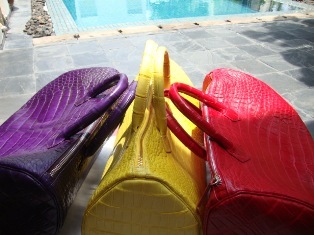 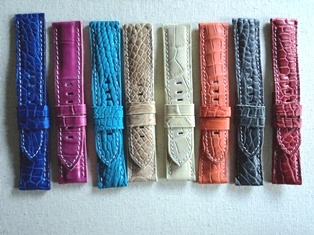 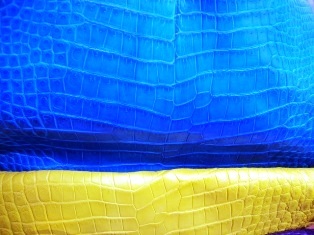 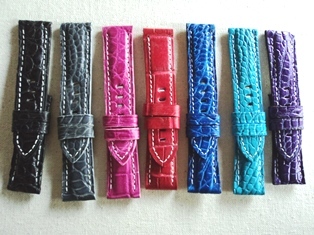 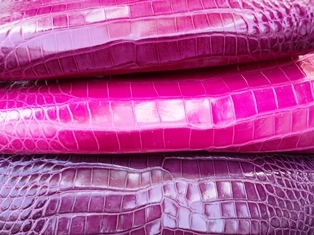 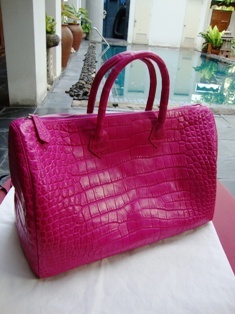 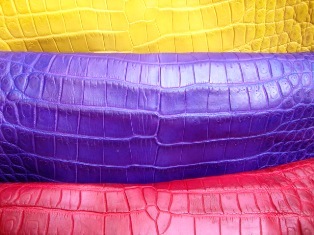 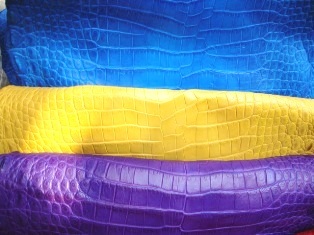 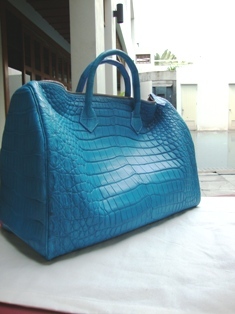 How many n How much for all croc leather?